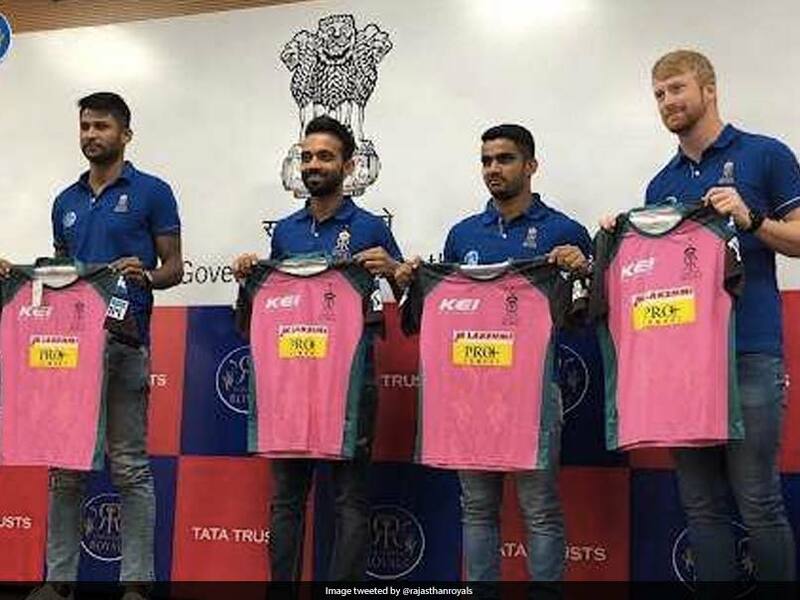 Royals To Wear Pink Jersey Against Upcoming CSK match. You Heard about PINK color in Cricket often times. There are PINK Text matches in Australia, PINK Ball is used in Day Night Text matches. Well Pink Color Arrived recently to VIVO IPL 2018. Get into insights, Rajesthan Royals who won last match agianst Kings Xi Punjab and keep the Payoff Hopes live, They are Playing Next match With Chennai Super Kings at their Home Ground Sawai Mansingh Stadium. They are Wearing a New Jersey with Pink color, in order to raise awareness about early cancer screening. As Part of the Campaign Ajinkya Rahane along with his teammates Heinrich Klaasen, Krishnappa Gowtham and Mahipal Lomror on Wednesday got themselves screened in an urge to promote early cancer screening. Speaking at the Campaign, Ajinka Said, This is small intiative but Crusial steo towards a direction of Cancer Free Society.